With its new Control and operation Panel PC Kuhnke Scout, Kendrion Kuhnke Automation presents a CODESYS machine control unit with touch screen user interface. It combines EtherCAT connectivity with the flexibility of Windows CE at a lower cost level than any conventional IPC. 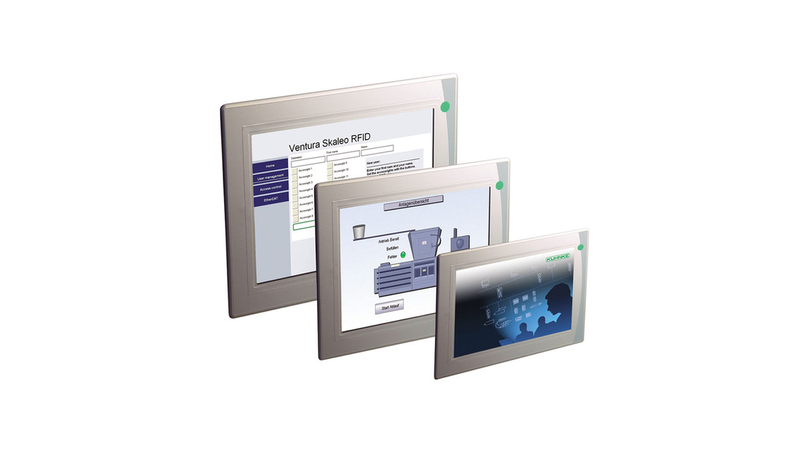 The highly compact embedded Panel PC was designed as a low-cost control for smaller machines and production systems. It combines a scalable processor board with fanless ARM technology with a resistive touch screen featuring durable LED backlighting. The display is available with a screen size of 7«, 10.4« or 12.1«. The absolutely flush and solvent resistant front plate corresponds to IP 65 requirements. On special request, the unit can be equipped with up to four dedicated switches allowing direct activation of specific machine functions. The highly robust IP 20 cabinet contains electronics according to accepted industry standards. 8 I/Os and one additional expansion slot. System memory include a 64 MB flash disk, 32 KB retentive memory and one SD Card slot. The embedded Windows CE operating system is complemented by the CODESYS Soft PLC. This opens the control unit for the versatility of the Windows world, while allowing visualization at a high level.